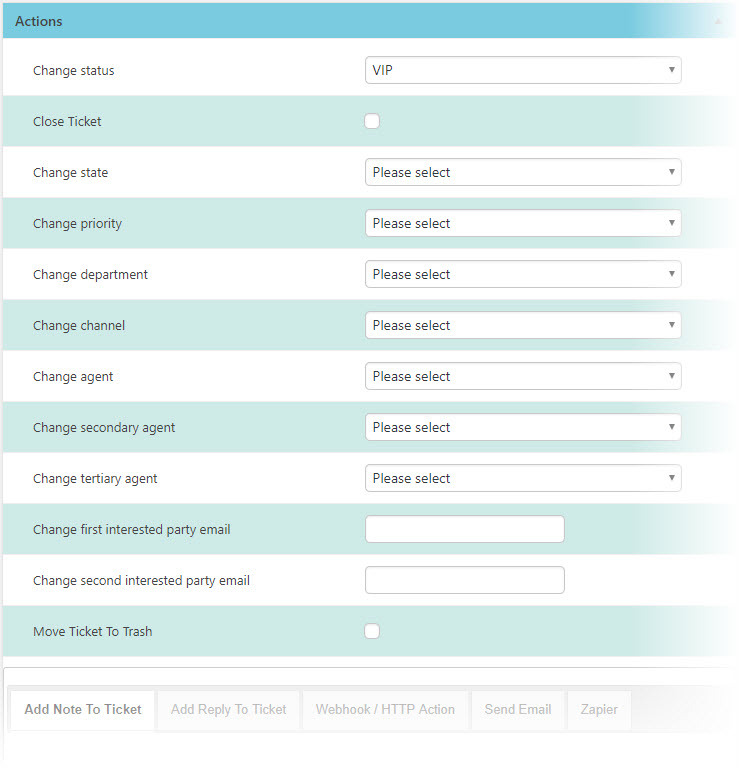 Powerful rules based ticket-handling is the domain of this add-on to the Awesome Support WordPress Helpdesk Plugin. It follows a TRIGGER->CONDITIONS->ACTIONS paradigm. 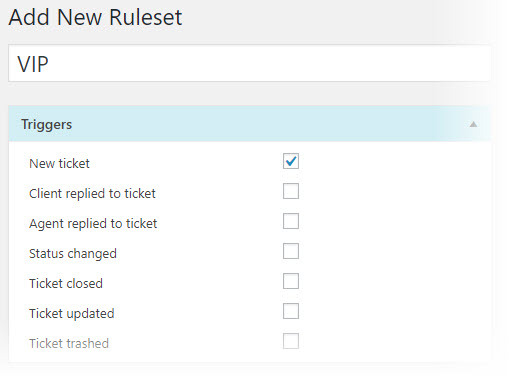 Set your rule triggers, select the conditions that must be met in order to trigger an action and then select the actions that will be performed. 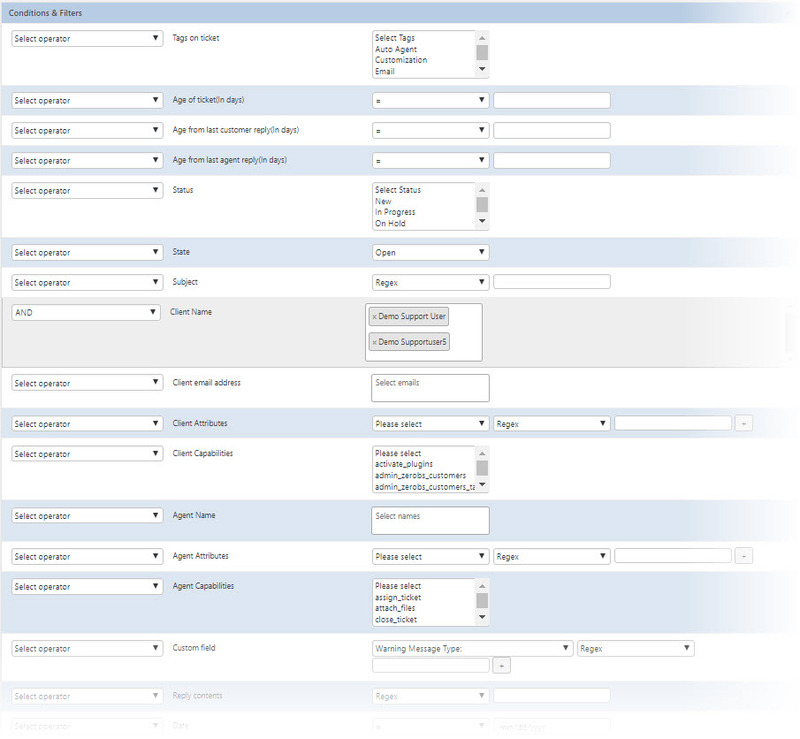 You can create any combination of rules – you can even create a different rule for each of your customers if you wish! Periodic rules are a powerful feature of this add-on and can help to significantly streamline your workflow! With an add-on this powerful you might have questions about what it might be able to do. Just drop us a note on our contact form and we’ll let you know if what you need can be done. 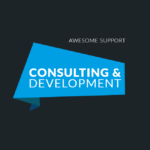 New: Requires AWESOME SUPPORT 5.7.0 or later! 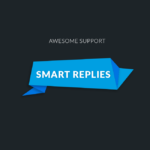 Fix: The message shown when the Awesome Support version is incorrect was itself incorrect. Fix: An error message that might occur when a variable is empty. Tweak: Add messages that let agents know that they are not allowed to view/edit items in a rule-set. New: Added new action hook after certain fields are updated on a ticket. The new hook is: wpas_rules_engine_after_ticket_update. New: Added the new phone number fields as user and agent attributes - these were introduced in Awesome Support V 5.5.2. Fix: Fix: customer_last_reply() and agent_last_reply() functions were returning incorrect results. Tweak: Now requires Awesome Support 5.5.0 or later. Fix: If user closed ticket on front-end, the close rule was not firing because the permission check was for edit-ticket instead of close-ticket. New: CRON process allows rules to be run on a regular basis on open tickets, closed tickets or both. You can use this to do thins like send alerts on tickets that haven't been updated in a while. New: Added the ticket contents field as a CONDITION item. Fix: Corrected some labels in the ACTION tabs section of a ruleset. Tweak: Added some color to the main ruleset definition screen. Let us know if you hate it and we'll revert back. Fix: The Close Ticket checkbox was not respecting the security role option on the settings screen. Fix: Not all elements of the SEND EMAIL action tab were respecting the security role option on the settings screen.